Together edotco and Jazz are enhancing Pakistan’s infrastructure and furthering Jazz’s effort to modernize and expand its network nationwide. edotco continues to be a key nation-building digital transformation partner for Pakistan, aiming to help the country shape its telecommunications landscape for future 5G-readiness. “Building a digital nation requires the collective investment of various stakeholders within the ecosystem. Our partnership with Jazz today marks a new milestone for Pakistan’s connectivity agenda. We offer our partners a sustainable and optimal model to accelerate their network deployment initiatives by capitalizing on our advanced solutions and best in class practices, ensuring that the country has the right infrastructure in place to enhance the nation’s digital readiness,” said Arif Hussain, Country Managing Director, edotco Pakistan. 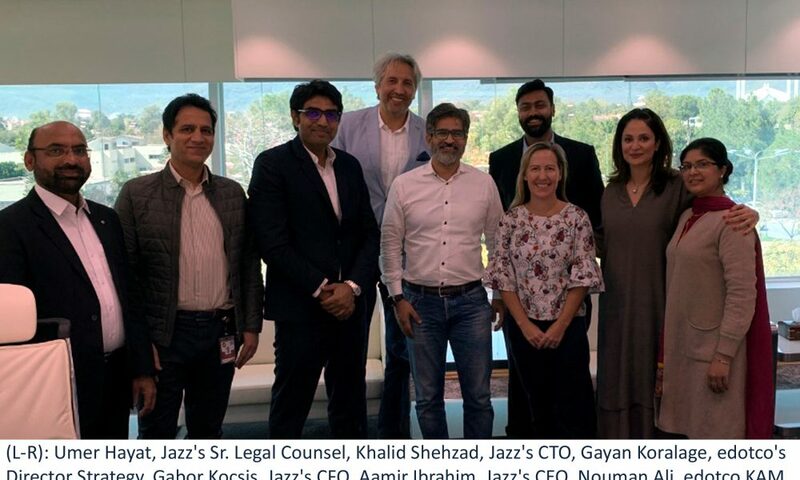 Describing the partnership as strategic for Jazz’s market leadership, Aamir Ibrahim, Chief Executive Officer of Jazz said, “Pakistan’s telecommunication landscape is maturing as the country accelerates its push for digitalization. This transformation will result in Jazz streamlining its network operations and meeting the demands for fast, reliable data, which is essential for a rapidly evolving digital landscape. As the nation’s leading communications company, it is our mission to spearhead Pakistan’s digital agenda through such innovative partnerships”.